Four signs can be connected together and synchronized. An optical sensor enables the LEDs to automatically dim at dusk and automatically brighten at dawn. 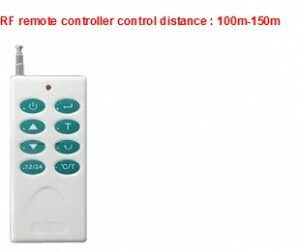 The user may specify the dimming percentage. 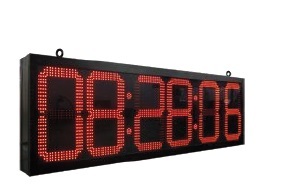 The user may specify the hold time for showing time and temperature from 1-30 seconds for each display screen. Super-bright, daylight-visible LEDs provide over 100,000 hours of continuous operation, significantly outlasting comparable incandescent lamps. 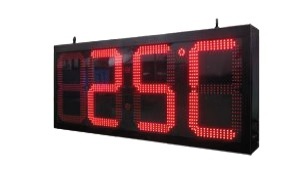 The display is energy-efficient and easy to operate, install and service. GPS time and temperature is available.